No Problem has sweeping views of the Caribbean Sea and surrounding countryside. Is has a very child-friendly layout making it ideal for families or for couples who seek a calming, peaceful environment. No Problem sits on the brow of Copperwood Ridge, facing the Caribbean and the fairways of the golf course. 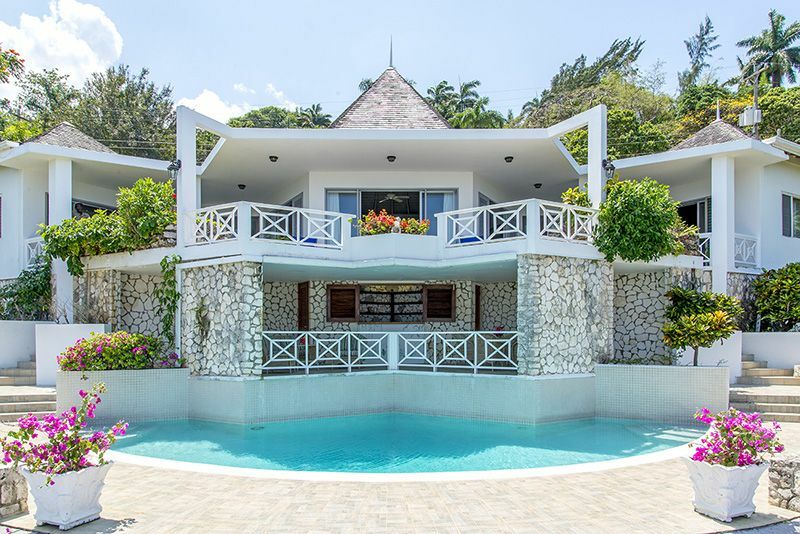 Two – four minutes away, is the Tryall Club’s renowned championship Tryall Golf Course, its private beach, and a short walk from the villa takes you to tennis, gym, Kids Club and other resort amenities. The bedrooms are located on the villa’s main level and provide a magical escape with over-sized picture windows that bring the outside in. Two further bedrooms open to the terrace and the third bedroom opens to the interiors. All of the bedrooms are air-conditioned, with private en suite bathrooms. The master bedroom has a king-sized bed and a Jacuzzi bathtub. The guest rooms each have two twin beds, one of which can be arranged as a king bed if required. The living room is a spacious, light filled retreat with sliding glass doors that open to reveal the fabulous view. Tropical fabrics, wrought iron and bamboo furniture make for a relaxing ambiance and there is a cable television, DVD player and audio system. Stairs lead to the lower terrace and the swimming pool which has a wet bar. Meals can be enjoyed indoors or out on the terrace whilst admiring the views.